When submitting a manuscript to the journal online it is necessary to upload files that contain scanned images of the completed and certified supporting documents (* .jpeg format). Accompanying documents include an agreement on the transfer of exclusive rights to the object of copyright signed by all co-authors (it is concluded on the basis of a decision of the editorial board), and the agreement to the publication. 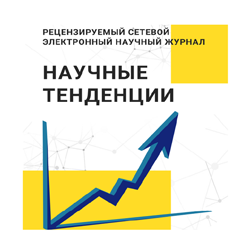 Authors from the university staff and students of the educational establishment "Baranovichi State University"
The agreement on transfer of exclusive rights. Photo of the author and co-authors. The authors who are not from educational establishment "Baranovichi State University"
The agreement to the publication. With graduate students, doctoral candidates and applicants of final year agreement to publication is not concluded, for their free publication. Correspondence is always conducted with the author, who issues the agreement, and the receipt for the payment is made to this author. surname of the author_photo (jpg) (high quality: at least 500 ? 800 px, jpg). Major languages - Russian, English; extra - Belarusian, Ukrainian, German, Polish.